Drinking: Water. Black tea. Kombucha. Same as always. I found a new to me kombucha flavor yesterday and it is fantastic. Watching: I started catching up on Designated Survivor this weekend because I finished my re-watch of ER. I think I had 7 or 8 episodes of Designated Survivor on my DVR, so I'll be working on that for a while before moving on to the next show. Reading: Balanced and Barefoot by Angela J. Hanscom. The Gruffalo by Julia Donaldson. It's Fall by Linda Glaser. Playing with: Wooden marble track. Shape magnets. Penguin ball. Feeling: Miserable. I'm so sick of the constant drip, drip, sneeze, cough. It's been a good four months straight and I'm OVER IT. I scheduled an appointment with an allergist for mid-June (their first available, sigh). Enjoying: We finally had a mild, sunny weekend! It was fantastic. We went for a hike, played in the yard, walked to the playground, and generally just enjoyed being outside as much as possible. Looking forward to: More warm weather. The end of the semester. 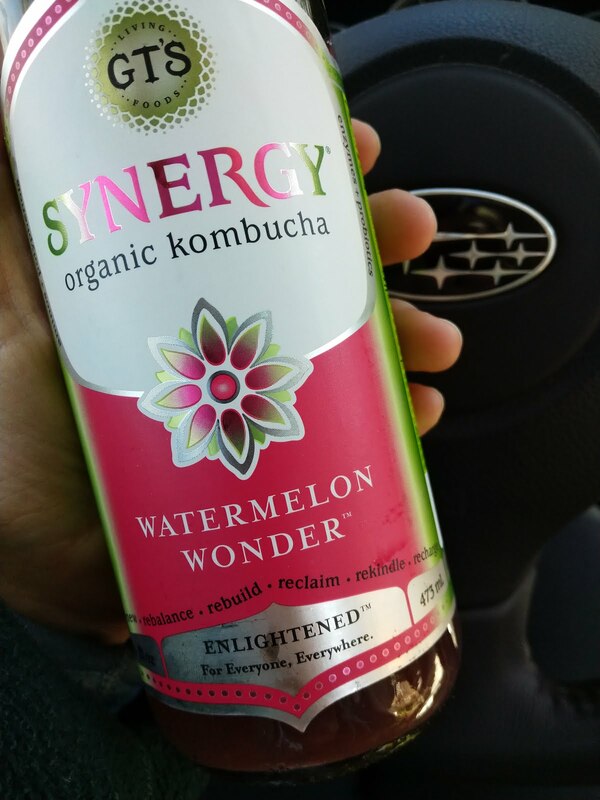 I've been wanting to try kombucha for forever. What does it actually taste like? It's hard to describe and depends A LOT on the juice mixed in with the tea. I LOVE some of the flavors and can't stomach some of the others (like turmeric). Sweet and sour with a bit of a funky earthy smell and taste. Initially the smell really turned me off, but it doesn't bother me anymore. I don't think I have ever tried it either. I put tumeric in a lot of things for pain relief.